Let’s face it, for most companies right now, Millennials are the target audience and make up a majority of the consumer landscape. How we buy and sell products has changed drastically over the last decade, largely due to the growth and power of social media. On the surface, Millennial social culture is all about inducing FOMO (fear of missing out), making your life look deceivingly attractive, and bragging about awesome experiences. And while some people complain that it’s fake and annoying, the culture is flourishing and brands are taking advantage. Whether you’re a tech company, health and wellness company, news organization, or any business trying to sell a product or an experience in 2019, here are some things to keep in mind when trying to market your brand. As I scroll through my Instagram feed, I see hundreds of pictures and influencer ads that look exactly the same. And although I see them, I don’t really SEE them, I just graze over them. Since so many brands are already tapping into social media and influencer marketing, it’s crucial to share content that is unique and stands out. It’s not even necessarily about sharing the most attractive picture, but it’s about producing content that will stick out like a sore thumb and make people do additional research on the spot to see what the hype is all about. For those of you who have watched the recent Netflix and Hulu documentaries about the disastrous Fyre Festival, although the festival itself was a huge fail, the social media marketing leading up to the festival was pure GENIUS. 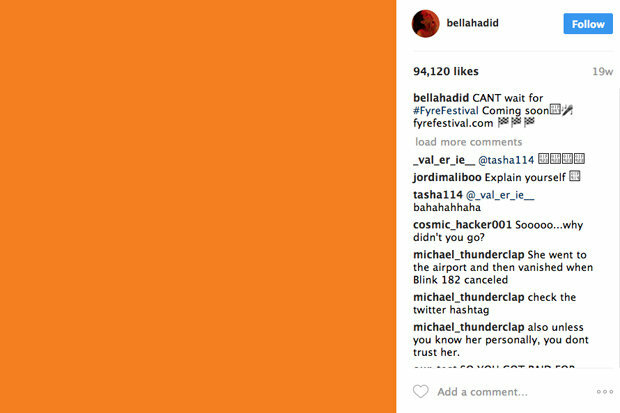 When Fyre’s social media team first announced the festival, they had hundreds of social media influencers post a plain bright orange square on Instagram. Seriously, that was it. No creative elements, just a plain orange tile with a link to an extravagant video. The most important part was grabbing everyone’s initial attention. 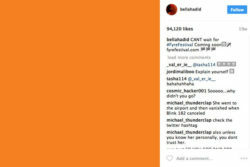 Seeing influencers like Bella Hadid and Kendall Jenner all posting the same orange square on Instagram would definitely make me stop and say, “What is this? I want to know more.” Sometimes, sharing too much with the first point of contact isn’t as effective as sharing something that will automatically lock consumers in, and then take them on an amazing journey and show them what your brand is all about. FOMO (fear of missing out) is a mindset that most Millennials have, and has really driven the success of social media marketing. Millennials also want exclusivity, and everyone wants to brag about having something exclusive. When someone shares something exclusive on social media – whether it’s a product or an experience – it makes other people jealous, and that’s where FOMO comes in. In the age of FOMO, you want to make your audience feel left out if they don’t buy your product or experience. Millennials want to buy a culture, and are more inclined to buy-in to brands that align with their desired culture or sense of community, whether or not the product is actually something they want, need, or even like! People want an experience these days, more so than a physical product, that’s why many companies have partnered with music festivals and events as a way to get their name out there – and those companies are hugely benefiting from it. Revolve is a great example of that. Revolve is a clothing website that sells high-end clothes, but they have cashed out by integrating themselves into the experience at high-profile music festivals and events, even creating their own club-like house where influencers and celebrities can go to vacation and party. By creating a community and an exclusive experience, it has heightened their brand to more than just selling clothes. It’s crazy to think about how much social media impacts our lives these days. It’s where we get news instantly, it’s where we stay connected with people, but it’s also mind-blowing that it’s turned into such an unstoppable monster that it *potentially* influenced a presidential election. I don’t think anyone could have predicted the tremendous evolution of social media over the last decade, and how many rules and regulations would have to be created as it continues to emerge as a lead platform for marketing and advertising. Social media has also paved the way for virality, and the ability to share content for millions of eyes to see at light speed. Have you ever seen a tweet that has 10 or so likes, and then you look at the same tweet five minutes later and it has 10,000 likes? Viral. If you’re hoping to get your messaging out to a mass audience, who knows, a creative campaign could go viral, driving huge impressions to your brand. Millennials like to be in the know. We are curious. Hey, you know what they say, knowledge is power! If you are entering the realm of social marketing, your social channels will become the face of your brand. 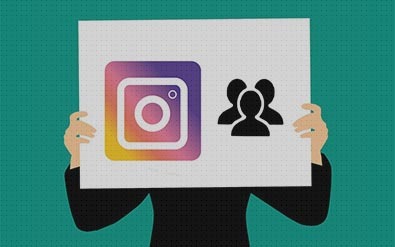 Social enhancements such as Instagram stories and Instagram live have given people the ability to share behind-the-scenes content, and more in-depth content that allows followers to get a better glimpse of the nitty-gritty. These elements have bridged the gap for those who are curious about what goes on for a company or an influencer on a daily basis. Personally, I will do research for hours when I’m looking for something specific that I want to know, and most of the time, I’ll find my answer on social media. If you are a brand trying to sell a product, I want to see what it looks like from every angle, how it’s made, who is already using it, why I need it, why it’s different than similar products. Show me everything!